Reston, VA – April 24th, 2015 – Bella FSM, a leading provider of web-based Field Service Management software announces a significant enhancement to its software providing further customization capabilities. Bella FSM now has almost unlimited customization capability providing complete flexibility for businesses. Although many field service organizations have similar business processes they also have very unique requirements. It is now possible for companies to streamline operations without changing the way they do business. Users of the software may easily create as many custom fields as needed. Custom fields include drop down lists, input text, dates, and multiple selection check boxes. As an example, a check list can be created to be completed by an onsite technician without the need of printing paper. “These enhancements provide our customers with outstanding customization capabilities further increasing the value of Bella FSM to their organization,” explained John Linn, CEO of Bella FSM. About Bella FSM: a leading provider web based Field Service Management software or SaaS (Software as a Service) for the Field Service industry. The software provides the ability to streamline operations by providing CRM, Work Order Management, Scheduling, Equipment Tracking, Employee and Vendor Management, Reporting, Accounting, and Inventory Management all from one application accessed from any computer, laptop, table or smartphone. 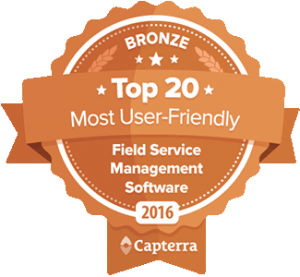 Learn more about Bella FSM and its Field Service Management Software at www.bellafsm.com.